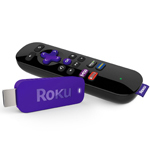 "The new Roku Streaming Stick gives consumers more choice for streaming entertainment to the TV than any other device"
SARATOGA, Calif.--(BUSINESS WIRE)--Roku Inc. today announced the new Roku® Streaming Stick™ (HDMI® version), a tiny Roku player that gives consumers the easiest way to enjoy the best selection of streaming entertainment on TV. The Roku Streaming Stick (HDMI version) features the compact stick design pioneered by Roku and plugs discreetly into an HDMI port for a streamlined look that’s ideal for wall-mounted TVs. For the best TV experience, the entire household can use the included remote control to access the sleek Roku user interface with shortcuts* to movies, TV shows, news, the Roku Channel Store, Roku Search* and more. Those who desire a mobile experience can use their smartphone or tablet (along with the free Roku apps for Android™ and iOS® devices) to browse and select channels to stream. They can also cast Netflix, YouTube and personal media from their devices to their TVs. Over time Roku will add additional mobile features such as the ability to cast content from a computer to the TV. 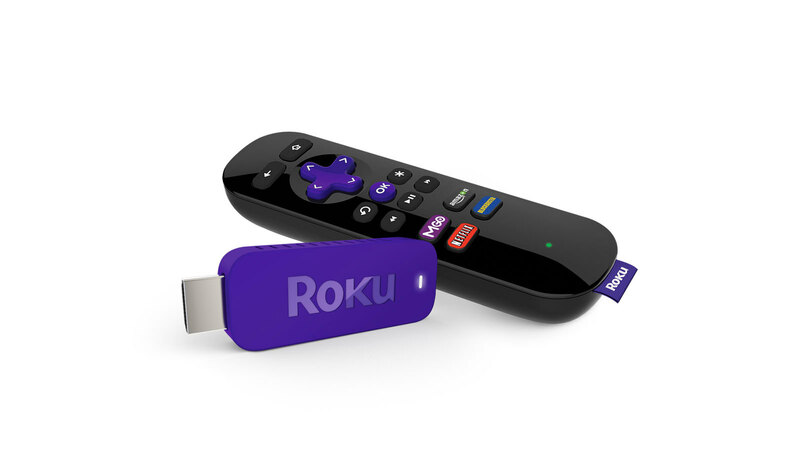 Once plugged in, the Roku Streaming Stick lets consumers start streaming from more than 1,200 channels (more than 750 channels in Canada, the U.K. and the Republic of Ireland) of movies, TV episodes, music, news, sports, kids' shows and free programming – more channels and genres than any other TV streaming device – and all in up to 1080p HD video. Recently launched channels include Conde´ Nast Entertainment, SHOWTIME ANYTIME, WATCH ESPN, WATCH Disney Channel and YouTube. Roku’s original streaming stick, the Roku® Streaming Stick™ (Roku Ready® version), which the company launched in 2012, will be bundled at retail with Roku Ready devices. In 2013, Roku certified 60 different products from 14 partners who shipped more than 2.5 million Roku Ready devices, most of which were televisions. There are currently 20 Roku Ready partners in the program.